Mark your Calendars for the Ribbon Cutting at the Brunswick Center 6-6- from 12-3 — at Brunswick Center. Read more via BGT Enterprises Facebook Page. Reformer/Tower classes now open, book today! 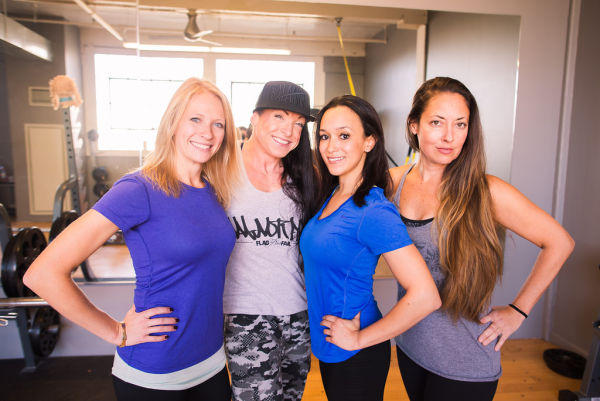 Check the schedule via Power-House Pilates. There is no secret to weight loss and fitness; you have to put in the work, time and effort! IronPlate is a personal training studio that just opened their second location in the Brunswick Center (post coming soon) can help you achieve your short-term and long-term fitness and health goals. Whether you want to get ready for an upcoming event like your nuptials, or need guidance in making those important health changes that will improve the quality of your life. Just do it already! 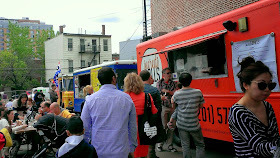 This Saturday, several of Jersey City’s food trucks will gather together and park at the 318-328 Newark Avenue lot (between 4th and 5th Street) for the first time to officially launch the JC Food Truck Rally, anticipated to run every Saturday. Read more via Jersey City Eats. The Brunswick School is sponsoring a FREE Kid’s Zumba class this Saturday led by Meredith McCarthy (instructor at the JCC of Bayonne and Dance With Me Studios)! Register your 3-6 year old to move and groove during this high-energy dance fitness class! erinvanhorn@thebrunswickschool.com or call us today at (201) 420-1550! Please bring water and get ready to have fun! Parents are welcome to participate. All children should wear comfortable clothing and sneakers. Read more via The Brunswick School Facebook Page.